In what appeared like a coup, some leaders of the Peoples Democratic Party (PDP) Saturday appointed the Senator Representing Ekiti South, Mrs. Biodun Olujimi the leader of the party in Ekiti State and Southwest. In the same manner, the stakeholders passed vote of no confidence on the Chief Gboyega Oguntuase-led State Working Committee of the Party in Ekiti, thereby calling on the National Chairman of the party, Chief Uche Secondus to dissolve the executive and set up a caretaker committee to pilot the party’s affairs. 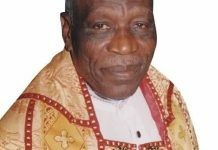 The stakeholders said they decided to call for the disbandment of the State executive due to alleged financial recklessness brought against the SWC. In a communiqué signed at the end of the stakeholders’ meeting held in Ado Ekiti Saturday, the party said it took the decision to install Olujimi the leader owing to the fact that she remains the most top ranking elected official in the state and southwest. 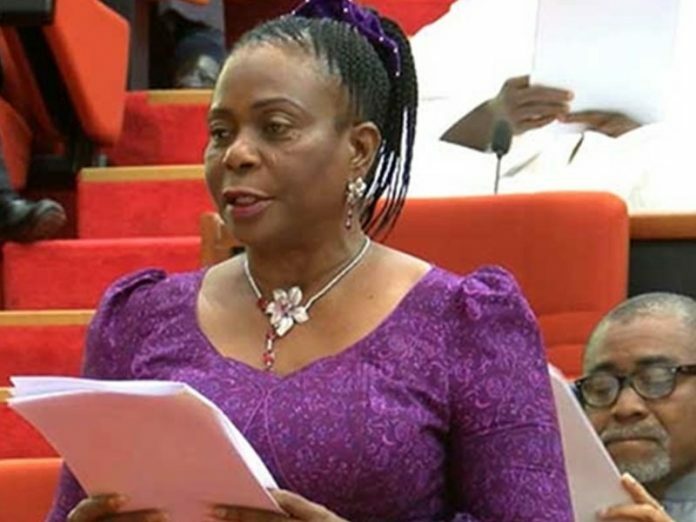 detecting the illegal and suspicious withdrawals from by members of the SWC and hereby urge Senator Olujimi to liaise with the national working committee to freeze the party’s account in Ekiti with immediate effect. the fact that he had just been released from detention by Economic and Financial Crimes Commission (EFCC) over alleged financial fraud. Olujimi said, “We knew what he might have passed through by staying in detention and we know it might not be easy for him to attend this meeting, so there is no faction at all in our party. My being appointed the Leader does not mean there is crisis. “The very day he left office was the day he was summoned by EFCC and we knew the rigour he had passed through. We are going to work together, I mean with Fayose. What we are doing is that, we don’t want to allow his exit from office to mean the end of PDP in Ekiti.